One of the country's largest funeral directors wants to build a new crematorium on farmland in a village. Dignity UK has said it wanted to open the facility in Weeting, Norfolk, which would include a memory garden and parking for more than 100 cars. A 100-seat chapel and a range of jobs would be created, according to plans submitted to Breckland Council. However, some neighbours have objected to the proposal due to concerns over its location and traffic. A planning statement from Dignity, which also runs St Faith's Crematorium, near Norwich, said it had looked at five sites north of Thetford before agreeing to the purchase of the four-acre site (1.6 ha) on Brandon Road, the Local Democracy Reporting Service reported. "The proposed crematorium will have a range of additional facilities that are not always available at older-style crematoria elsewhere, including a family room, audio and visual services and a range of memorial options," it said. The site would also feature a larger-than-average cremator. But neighbours near the site have questioned the need for it. 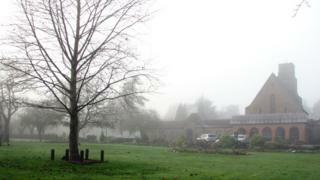 Matthew Reeve, of Angerstein Close, said: "We have a crematorium at Bury St Edmunds. This has been extended recently and more importantly is well away from residential dwellings and schools." While Ben Shipp, of Cromwell Road, said: "The traffic is bad enough... and this will only increase [it]." The plans were originally drafted last year, but following a public consultation in September a number of tweaks were made to the proposal, which will be considered by the council's planning committee at a date yet to be fixed.